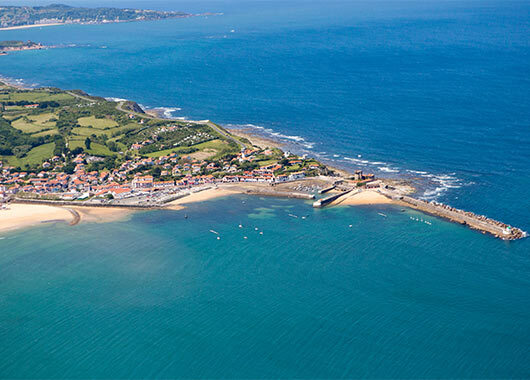 A holiday at Camping Suhiberry, just 2 minutes from Socoa and Ciboure, is a unique opportunity to explore the stunning landscapes between the sea and the mountains. In Socoa, you will fall in love with its pretty fort, its port and its two fine sandy beaches ! 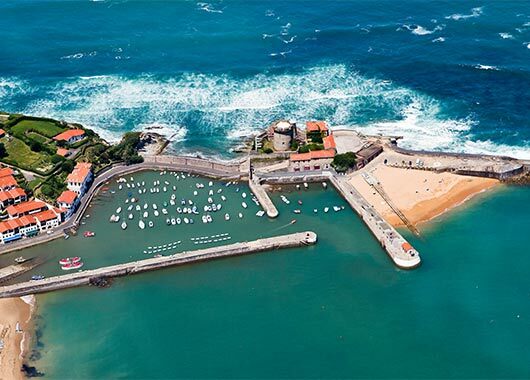 The Baie de Socoa, protected by its famous fort and 3 sea walls, has two beaches that are perfect for both children and thrill-seeking water sports fans – activities including tubing, a flying banana boat, jet-skiing and scuba diving make it the perfect place to plunge into the water. There are many surfing, sailing and diving schools that can help you do whatever you want. Ciboure has an outstanding historic heritage ! 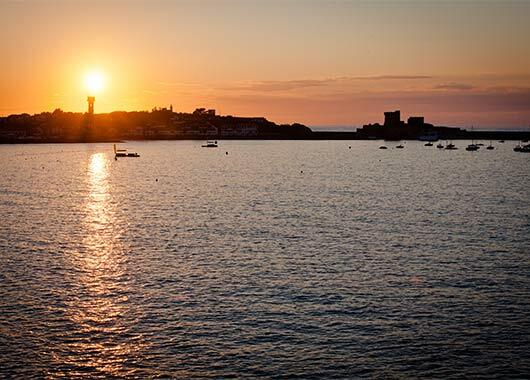 Ciboure has an outstanding historic heritage including the birthplace of the composer Maurice Ravel, the Cloître and Chapelle des Récollets, the Tour Bourdagain, the Eglise Saint-Vincent, the lighthouses, the fishing port and the marina. We recommend taking the footpath along the river Untxin to reach Socoa beach, which is 600m from the campsite. From there you can climb the Bordagain hill for a family-friendly walk to the tower. A pretty view over the bay can bee seen from close to the statue of the Virgin of ‘Muskoa’, protector of fishermen.